Salvatore Ferragamo's Signorina Eleganza($87; 1.7oz; shop.nodstrom.com) , launched earlier this Spring, is a sophisticated, elegant sweet-floral and a more sensual take on the original 'Signorina' Eau de Parfum. Signorina Eleganza features notes of grapefruit, pear, almond powder, golden osmanthus, patchouli and white leather. Its quite a strong fragrance for around this time of the year, but perfect for fall or cooler evenings when you can get away with something slightly heavier. 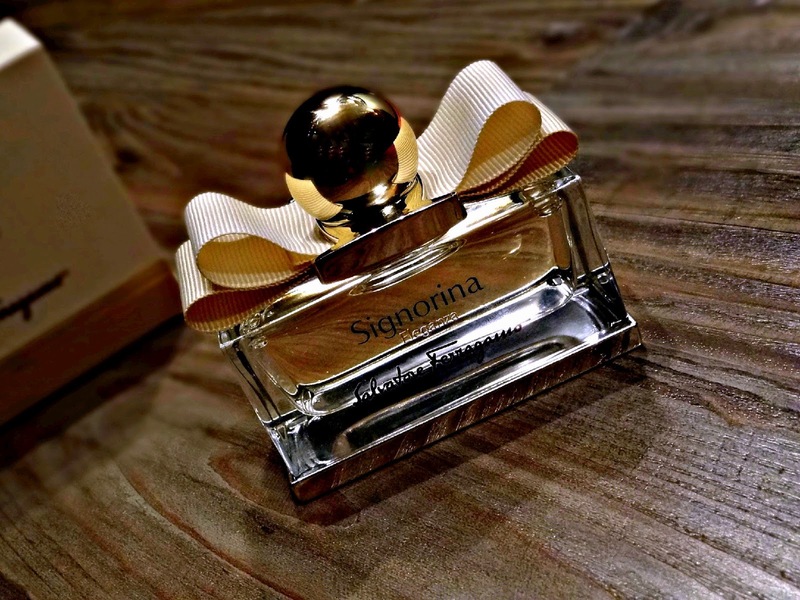 Signorina Eleganza starts off as a soft floral, very lightly sweet and dries down to a warm, cozy, sweet scent, with a hint of spice, that lingers on for the longest time on me. Its definitely more of a grown up scent that is sophisticated, yet quite modern. The bottle design is just gorgeous and fits perfectly with the fragrance description. Overall, if you are looking for something light and more youthful, the 'Signorina' might be something to check out, but if you are looking for something that's a little more classy and elegant, 'Signorina Eleganza' is something you'll love. I can't wait to wear this more often come fall! Have you tried Salvatore Ferragamo's Signorina or Signorina Eleganza yet?